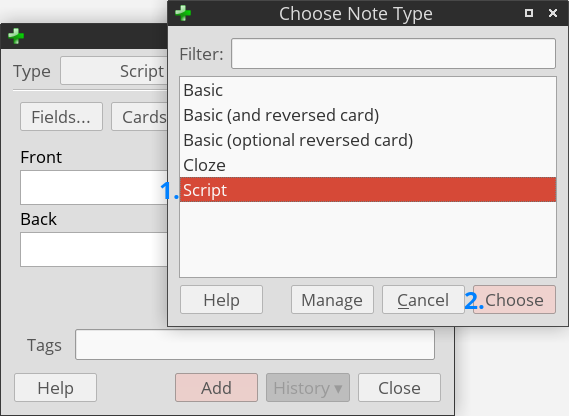 Give it a name like ‘Script’, then go back to the Choose Note Type window and choose the new note type. code = code.replace(/^[^\/]+\/\*! ?/, "").replace(/\*\/[^\/]+$/, ""); //Strip beginning/ending comments. 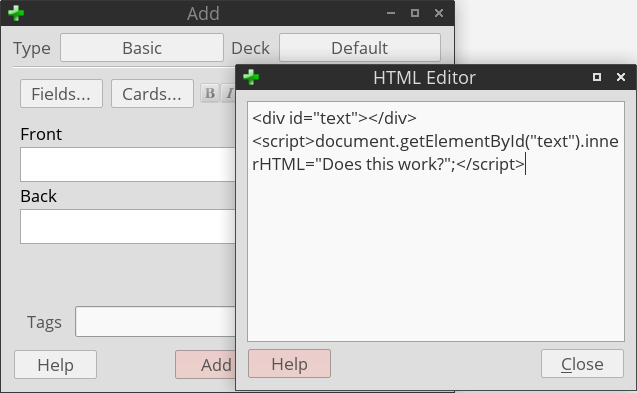 code = code.replace(/<div>/g, "\n").replace(/<\/div>/g, "\n").replace(/<br \/>/g, "\n"); //Strip HTML. code = code.replace(/&nbsp;/g, " ").replace(/&lt;/g, "<").replace(/&gt;/g, ">").replace(/&amp;/g, "&"); //Replace special symbols. 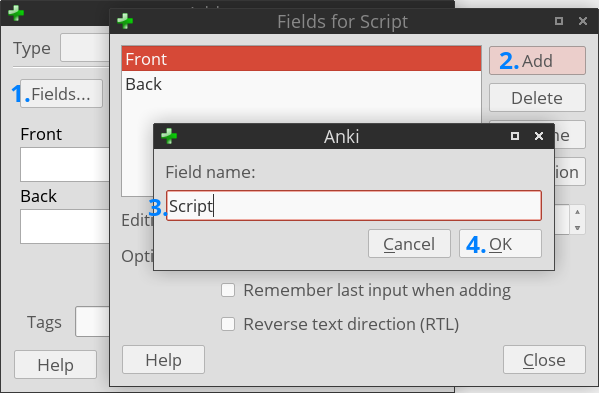 Right now, the code won't work, because the Script field has not been declared. 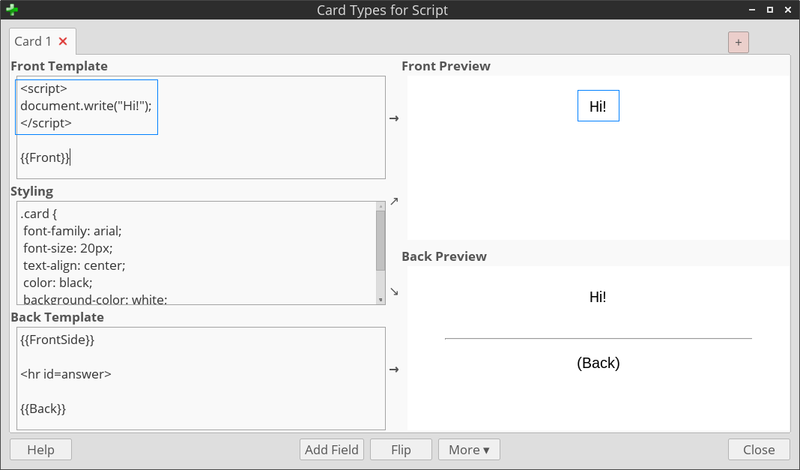 Close the Card Types for Script window, click the Fields… button, and add a new Script field. 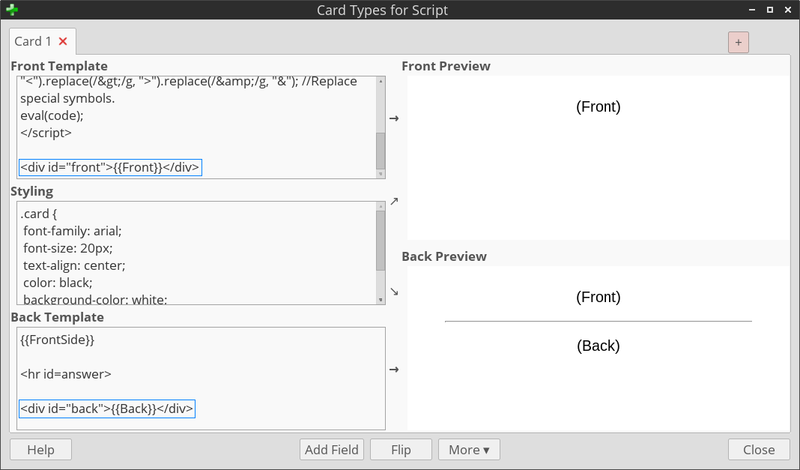 Now, any code in the Script field will be executed each time the card is shown, once for the front, then again later for the back. 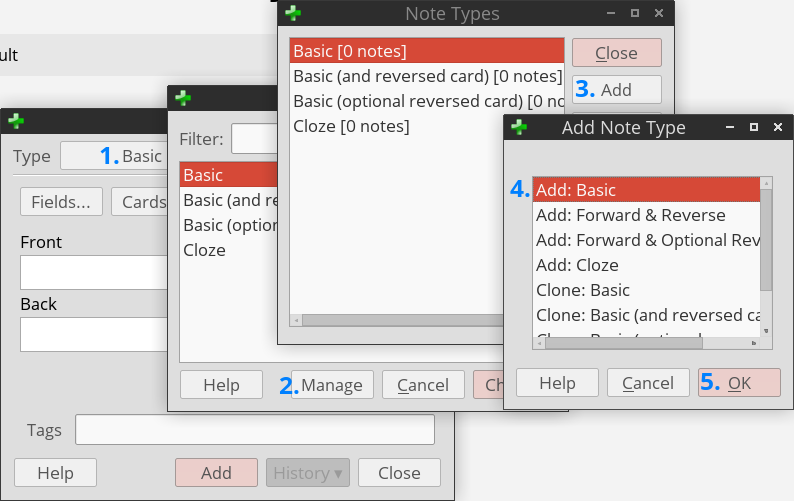 Thankfully, Anki exposes a behind-the-scenes window.py object. 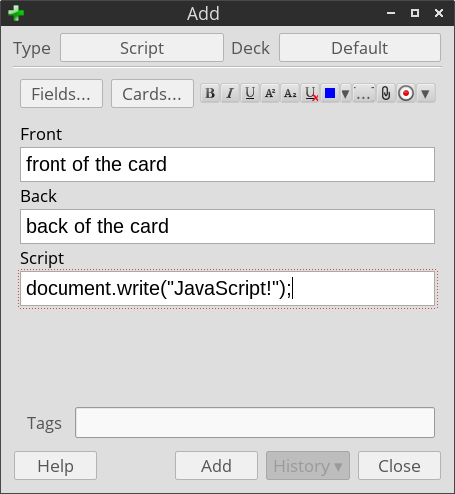 The internal functions exposed by the object are pretty useless, but the instance of the object is shared between executions of the same card (and reset if the card is shown again later), meaning that it can be used to store data between executions. AnkiDroid does not appear to expose a similar object, however Android's WebView supports sessionStorage, which we can use to store data persistently. The code below automatically detects which method to use and exposes an API to store data to overcome the original restriction. 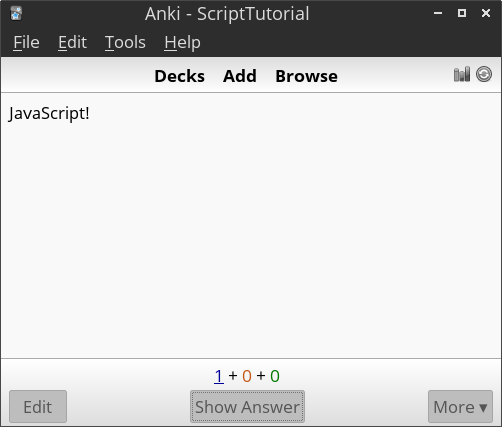 // Determine whether to use Anki's Bridge object (Desktop) or sessionStorage (AnkiDroid) to store data across sides. 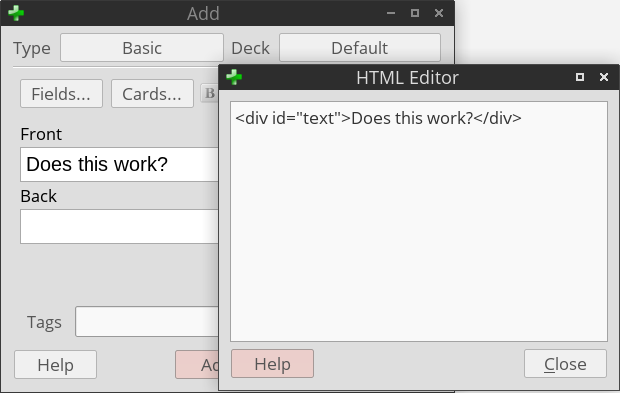 }, 0); //Execute after Anki has loaded its Bridge object.